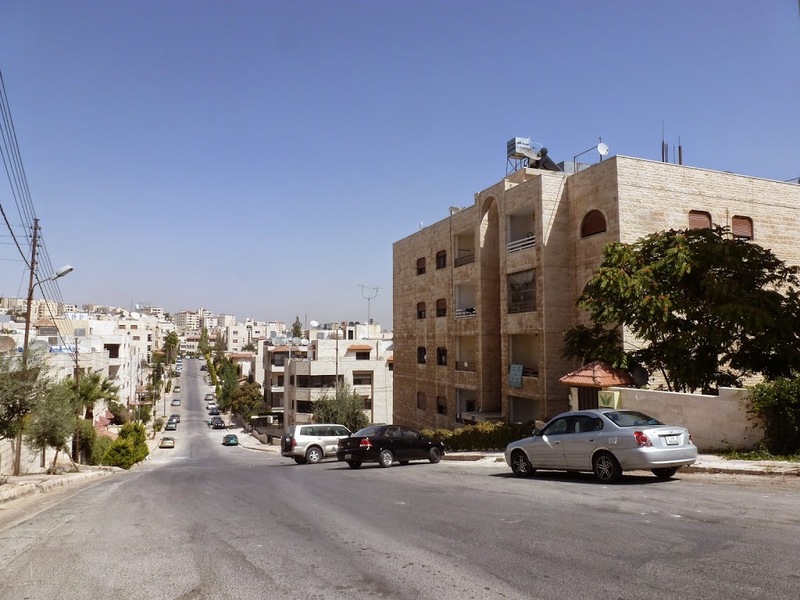 Since it’s nearly the end of my time in Amman, I thought I’d write a post on life in the city. I live in a quiet neighbourhood. ﻿Jordan seems to be an excellent gateway to the Middle East, since it is generally peaceful, tolerant of tourists and fairly cheap to get around. However, there are still some quirks that take a little acclimatisation. 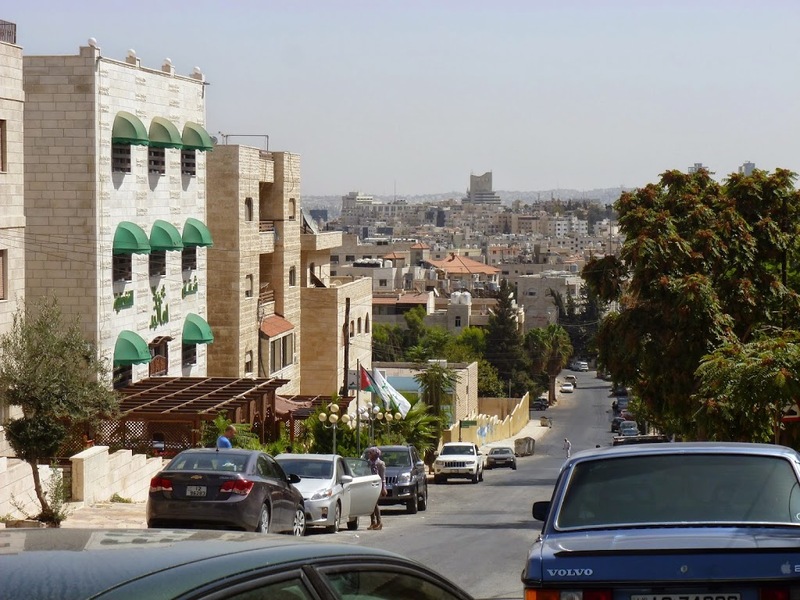 1) Speaking of acclimatisation, it is HOT here in the summer – and Amman is by far from the hottest region in Jordan! On my first evening here, sweltering on my bed with no aircon, I wondered how the hell I was going to survive two months. It took about three weeks to acclimatise properly, and sweat became a regular fact of life. I now have multiple showers per day. 2) Amman is full of hills. See the sweat point above. 3) Amman has what could vaguely be described as a traffic system, but to a newcomer it looks like hell in vehicular form (especially when you consider that seat belts are not a thing here). The roads can get very busy. 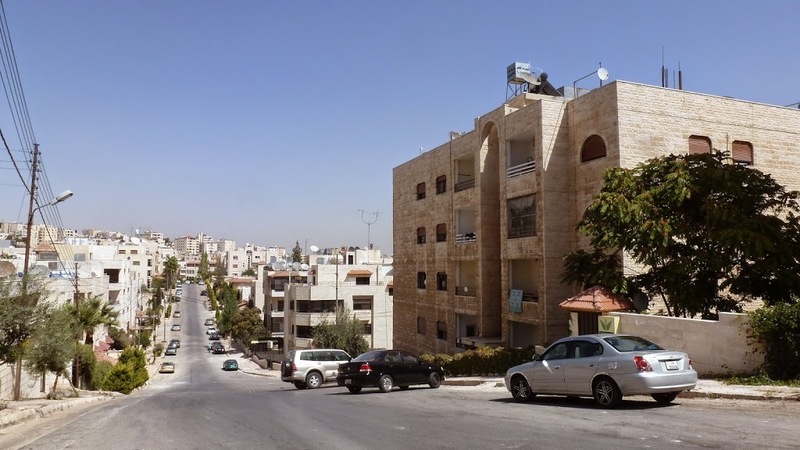 As I’ve mentioned in previous blog posts, there are few pedestrians in Amman. 4) …this also means that there are very few pedestrian crossings, despite the fact that the main roads are rarely free of cars. Therefore the Western method of crossing a road (i.e. waiting for the whole road to clear) simply does not work. Instead, cross the road one lane at a time. Yes, this will require you to step out into the path of oncoming traffic, but the pedestrian is always in the right in Jordan, and cars will stop/swerve around you. Just never step backwards! 5) Don’t get too complacent on the pavement, either. You’ll find random potholes, ledges, bushes, bins, cats, iron poles and occasionally little fires in your way. In fact, walk on the roads for a more even surface (don’t worry, cars will go around you – the pedestrian is Always Right!). 7) Don’t be alarmed by the bangs coming from the house next door. They’re probably not gunshots, but fireworks celebrating the graduation of a local university student! Sign up here if you'd like to receive new posts straight to your inbox!